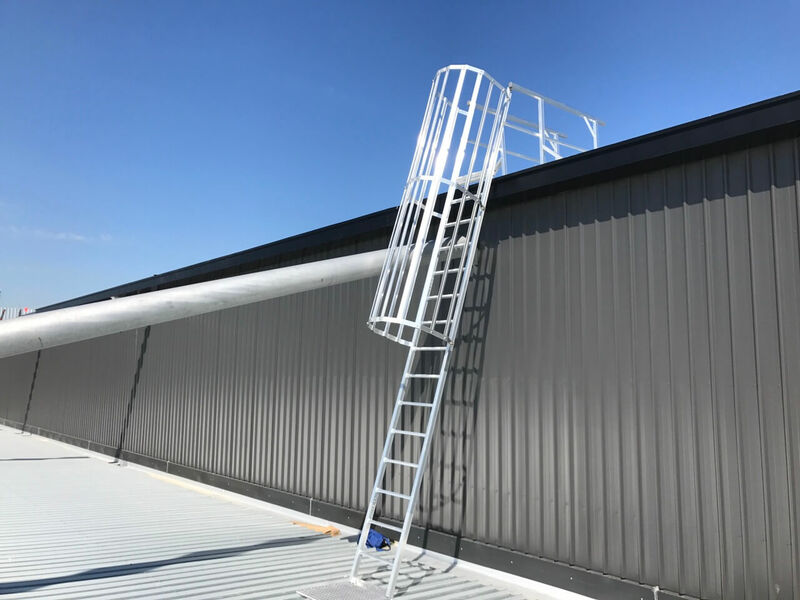 roof access system with a 9.6m ladder with fall arrest line to protect the user when climbing the ladder. 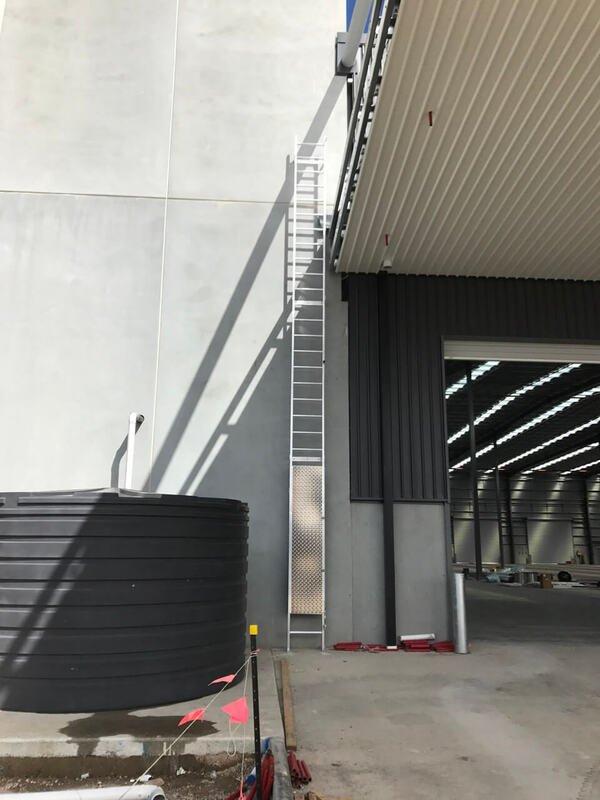 2x 4.5m caged ladders set at 70 degrees. We also put handrails and anchor points to keep the various trades safe while on the roof. 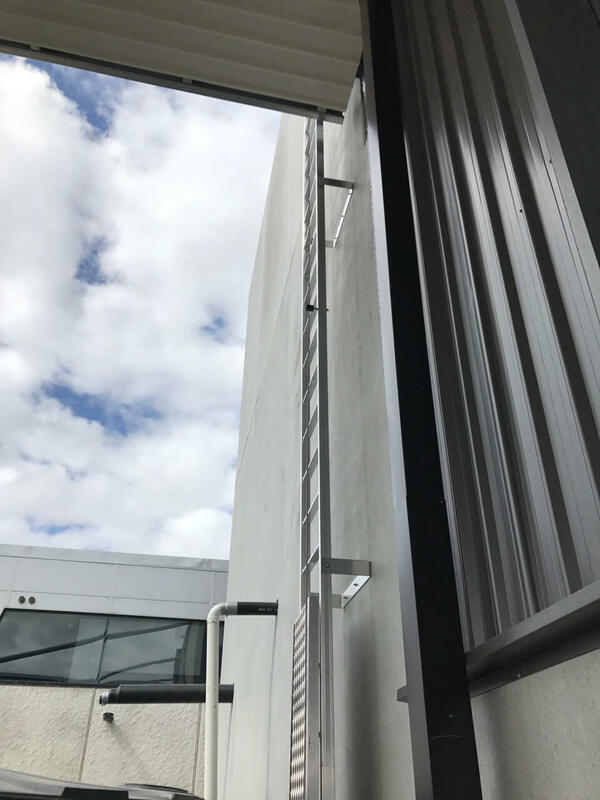 Using signs we clearly marked where the no go zones are to further point out the dangers to the trades people while working at heights. The client was happy with the install and professionalism of Anchored. As such we continue to do projects together. If you want further information on this job or any others please don’t hesitate to get in touch.